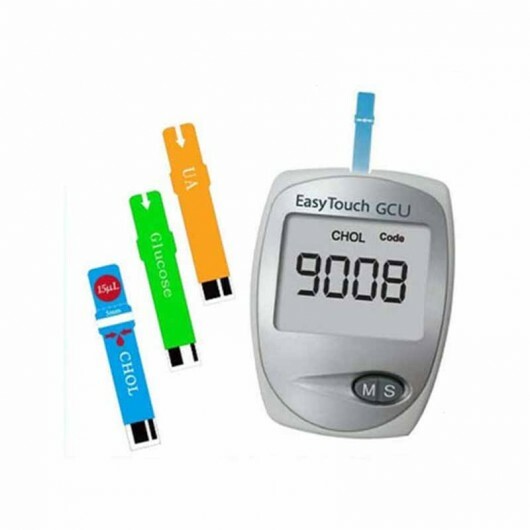 ET-301 Easy Touch, Blood Glucose, Uric Acid & Cholesterol Meter is a multi-function blood test system which measures, blood glucose, uric acid and cholesterol. Its compact size and the one-button feature, makes it simple to use without sacrificing the quality and accuracy. Meter Identify The Strips Automatically. 50 Test Results Memory(Uric Acid). Auto Power On / Off. 10 Uric Acid Test Strips.